In Singapore, due to the volatility in the capital markets and uncertainty over timing for a successful listing, the traditional mode of exit by way of public flotation of the target company’s shares is no longer viewed as the best exit route for PE investments. Instead, more PE exits are done through a trade sale of the target company and secondary sales. A trade sale process by way of a controlled auction has the advantage of creating competition among bidders, thereby encouraging higher prices and more favourable terms for the vendors. The controlled auction process also provides a greater degree of confidentiality and allows for greater control of the data room. Depending on the management of the process and complexity of the sale assets, a controlled auction process in Singapore may take anywhere from five months to a year to complete. While the specific mechanics differ, a standard sale by way of controlled auction would generally involve four stages. The process usually commences with the circulation of a teaser or fact sheet about the sale assets to potential bidders. Sufficient information has to be provided (i.e., business model, strategy for growth, principal assets and limited financial information) to generate interest and elicit meaningful bids. Upon execution of non-disclosure agreements, potential bidders who have expressed interest will be provided with an information memorandum and process letter setting out the bid process rules, timeline and parameters for indicative proposals. Bidders who are shortlisted to progress to the next phase of the sale process will be allowed access to the data room (although there may still be black box items, in some cases depending on whether the bidder is a strategic bidder or another financial sponsor); scheduled management presentations and interviews with the management; and participation in site visits. When dealing with bidders who are competitors of the target company, precautions should be taken to prevent the sharing of commercially sensitive information and where necessary, such bidders may have to establish a ‘clean team’ to undertake the due diligence. The bidders will be required to submit a final proposal and proposed markups on the definitive agreements by the end of this phase. In selecting the final bidders for final negotiations on the definitive agreements, the PE sponsor will weigh the bid price offered against the terms each bidder is seeking (especially with regard to retention sums, warranties and indemnities). Increasingly, demand for warranty and indemnity insurance comes into play to mitigate deal risk for PE firms. The auction process concludes with the selection of the winning bidder and the execution of the definitive agreements. One important factor that drives a successful exit for a PE sponsor is the ability to effectively retain the management of the portfolio company which it invests in and to align the interests of the management with its financial objectives. Therefore, it is fairly common for a PE sponsor undertaking a Singapore going-private transaction to offer incentive plans to the management of the target company to ensure that they are retained and incentivised to achieve the exit desired by the PE sponsor. If the management hold shares in the target company, they are typically expected to reinvest a portion of their proceeds from the transaction to subscribe for shares in the bidding vehicle. The PE sponsor may also set aside a portion of its shareholding in the bidding vehicle to establish a share incentive scheme where such shares are offered to management upon fulfilment of stipulated performance targets. Some PE sponsors may also make a distinction between classes of management personnel (i.e., between key management who are instrumental to the operations and success of the target group and the more ‘rank and file’ management personnel who are in charge of the day-to-day running of the business). The former would typically have a greater equity stake in the target group (through rollover arrangements and share option schemes) and may be delegated the discretion to administer the equity incentive programmes for the latter, who might not be allocated equity stakes but might have some other form of reward-sharing (for instance, through bonus payouts or phantom share option schemes). It is not uncommon for the PE sponsor to impose a moratorium or restrictions on transfers of equity held by the management in the target company or to subject the incentives received by the management to ‘good leaver’ and ‘bad leaver’ provisions in the event the management leaves the employment of the target company. Such moratorium or restrictions would usually be at least for a period that coincides with the anticipated period of time that the management would take to enhance the value of the target group and achieve an exit for the PE sponsor. The PE sponsor would normally also reserve the right to require the management to co-sell its shares in the target company in order to procure the sale of the entire share capital of the company in an exit event. Other additional terms that are commonly built into the employment contracts of the management are non-compete and non-solicitation provisions. The transaction structure in an M&A transaction will vary depending on the objectives of a PE sponsor, whether it is to acquire a minority interest, a majority interest or 100 per cent control of the target company. If the intention is to privatise a target company listed on the Singapore Exchange Securities Trading Limited (SGX), the transaction is likely to be structured either as a general offer subject to the Singapore Code on Take-overs and Mergers (the Take-over Code) or a scheme of arrangement (SOA) subject to both the Take-over Code and the Companies Act (Chapter 50 of Singapore) (the Companies Act). Briefly, the two structures differ in terms of timing, thresholds and outcomes. In the case of a general offer under the Take-over Code, there is a strict timeline to be adhered to once a firm intention to make an offer is announced by the bidding vehicle. This announcement triggers the obligation of the bidding vehicle to despatch the offer document to the target company’s shareholders (no earlier than day 14 and no later than day 21 after the offer announcement) and the target company is then obliged to respond with an offeree document (within 14 days after the despatch of the offer document). The Take-over Code also stipulates how long the offer can be kept open and the circumstances under which the offer can be extended. Depending on whether the general offer is made subject to specific conditions that are permitted by the Securities Industry Council of Singapore (SIC), the offer will either lapse as a result of such conditions not being satisfied, or close successfully. A SOA generally involves a longer transaction timeline, due mainly to the documentation required and the steps involved in the implementation of the SOA. Unlike the general offer process where the offer document is driven by the offeror and is not subject to any review process, a SOA involves the preparation of a scheme document that requires the cooperation of the target company as well as review by the SGX. The documentation and the SGX review process may take up to eight weeks following the joint announcement by the bidding vehicle and the target company of the proposed scheme. Once the scheme document is cleared by the SGX, the target company will need to apply to the High Court of Singapore for leave to convene a meeting of the shareholders to consider the scheme (scheme meeting) and to give notice to shareholders to convene the scheme meeting. After the requisite approval is obtained at the scheme meeting, the target company will have to apply to the High Court again to sanction the SOA. The SOA will only become effective after the relevant court order is lodged with the Accounting and Corporate Regulatory Authority (ACRA). Unless an objection is raised at the court hearing, a SOA is likely to take effect about four months after the initial joint announcement was made. Except in the case of a partial offer, a general offer must be conditional upon an offeror receiving acceptances in respect of more than 50 per cent of the voting rights in the target company (although the acceptance threshold may be set at a higher level in a voluntary general offer, such as 90 per cent to achieve the right of compulsory acquisition under Section 215(1) of the Companies Act). A SOA is subject to the approval of a majority in number of shareholders representing 75 per cent in value of the members or class of members present, and voting either in person or by proxy at the scheme meeting. A general offer under the Take-over Code does not necessarily result in privatisation, as that would depend on whether the offeror is able to invoke the right of compulsory acquisition under Section 215(1) of the Companies Act to ‘squeeze out’ the minority shareholders. On the other hand, a SOA offers an ‘all or nothing’ result and may be the preferred route for PE sponsors who wish to acquire 100 per cent of the target company through a single transaction rather than to end up with a majority stake in a listed entity (which is still subject to issues of potential minority oppression challenges, listing rules and other compliance requirements). If the target company is not a Singapore-incorporated company, the provisions in the Companies Act relating to SOA and compulsory acquisition will not be applicable. In such cases, it will be necessary to examine the applicable legislation in the jurisdiction of incorporation of the target company to determine the appropriate take-private structure. A going-private transaction in Singapore may also be structured as a voluntary delisting by the listed target company from the SGX pursuant to the listing rules of the SGX, coupled with an exit offer typically made by an existing major shareholder of the target company. This structure may be preferred over a general offer if the PE sponsor wishes to have the target company delisted from the SGX (and be no longer subject to listing rules and other compliance requirements) even if it will not be assured of acquiring 100 per cent of the target company after the close of the exit offer. The framework for acquisition of private companies by PE sponsors is dependent on the requirements or restrictions in the constitution of the company (constitution) or the shareholders’ agreements between existing shareholders. The presence of pre-emption rights, tag-along or drag-along rights might hinder the speed, ease and flexibility with which the PE sponsor may implement the acquisition, as much would depend on whether the relevant consents or waivers can be sought or the timing upon which these processes are carried out. Tax-related issues tend to drive the deal structure (in particular, holding structure and domicile of an acquisition vehicle) on a cross-border going-private or PE transaction, as parties seek to minimise the tax costs of the acquisition as well as tax leakages in the existing operations. Specifically, the impact of withholding taxes on dividends, local taxes, distributions and interest payments and restrictions on the PE sponsor’s ability to repatriate earnings should be taken into account when structuring such cross-border transactions. A PE sponsor looking to implement a leveraged transaction would also have to consider the laws in the jurisdiction where the target company and its assets are located, as these may prohibit or restrict companies in the relevant jurisdictions from providing financial assistance in the form of security arrangements or guarantees for the acquisition financing. These limitations may compel the PE sponsor to procure separate bank financing in a jurisdiction outside of where the bidding vehicle is incorporated to provide the lenders with an appropriate security arrangement to support the credit assessment. As a general rule, a PE sponsor is entitled to act in its own interest in its capacity as a shareholder. The exceptions to this general principle are circumstances where such acts breach the provisions of the constitution (usually the minority protection provisions) or constitute minority oppression under Section 216 of the Companies Act. Section 216 of the Companies Act allows minorities to seek recourse in the courts where there is ‘oppression’ of a member; where a member’s interests are ‘disregarded’; or where there is a resolution or act that ‘unfairly discriminates’ against or is otherwise ‘prejudicial’ to a member. The common thread underlying Section 216 of the Companies Act is the element of unfairness and the court, in determining whether to grant relief under this provision, may take into consideration whether there was any disregard of the legitimate expectations of a member (which may arise otherwise than from the constitution). The court has wide powers under Section 216 of the Companies Act to remedy or put an end to the matters complained of. The directors of a Singapore-incorporated company have fiduciary duties to act in the best interests of the company. If the company is listed on the SGX, its directors are also required to comply with the listing rules of the SGX as well as the principles and guidelines of the Code of Corporate Governance. The Corporate Governance Council (Council) was established by the Monetary Authority of Singapore (MAS) to promote a high standard of corporate governance in listed companies in Singapore, so as to enhance Singapore’s reputation as one of the foremost financial and business hubs on a global scale and to boost the confidence of prospective and current investors. The Council acts as an adviser to the MAS, ACRA and the SGX regarding corporate governance issues and rules that apply to listed companies in Singapore. The Code of Corporate Governance includes guidelines that, inter alia, concern the element of independence of the board of directors where the definition of ‘independent director’ includes a director with no relationship with the company, its related corporations, its 10 per cent shareholders or its officers that could interfere or be perceived to interfere with his or her independent business judgement. These guidelines underpin the prevailing sentiment in the business community to continuously raise the standards of corporate governance. In a similar vein, the prohibition against the improper use of any information acquired by virtue of a person’s position as an officer or agent extends to cover the improper use of a person’s position as an officer or agent of the company, to gain an advantage for himself or herself or any other person, or to cause detriment to the company. Thus, any representative of a PE sponsor who sits on the board of a portfolio company should not neglect the interests of minority shareholders while discharging his or her duties towards his or her appointer, and should be especially careful not to be seen as abusing his or her position regardless of whether he or she has obtained information from the portfolio company. Under the Companies Act, the board of directors is also permitted to allow the disclosure of company information, whether by general or specific mandate, subject to the overarching consideration that there should not be any prejudice caused to the company. Thus, a director of a portfolio company who is a representative of a PE sponsor should be careful to obtain the board’s authorisation before he or she discloses the relevant information to the PE sponsor. Where the portfolio company is listed on the SGX, the PE sponsor would be subject to the disclosure regime in the Securities and Futures Act (SFA) upon becoming a substantial shareholder of the company (i.e., upon acquiring 5 per cent or more of the voting rights of the company) and when there is any change in the percentage level in its substantial shareholding, and the disclosure must be in a form prescribed by the MAS. As the disclosure regime seeks to flush out the ultimate controllers of those voting rights, PE sponsors should note that their fund set-up (including layers of holding companies, general partners, investment managers, and even the founders) may become public information. Under Singapore insider-trading laws, if a party is in possession of price-sensitive information (PSI) in relation to a company that is not generally available, such a party is prohibited from trading (and from procuring another person to trade) in the company’s securities. A contravention of such laws may give rise to both civil and criminal liabilities. PSI is essentially non-public confidential information that, if it were generally available, a reasonable person would expect it to have a material effect on the price or value of the company’s securities (i.e., the information would or would be likely to influence parties that commonly invest in securities in deciding whether to trade or invest in the company’s securities). Given this broad definition, it is difficult to exhaustively list the types of information that would be regarded as PSI for the purposes of insider trading laws. One obvious example would be a profit forecast or financial projections of the target company that have not been made known publicly. Thus, where a PE sponsor is conducting due diligence on a potential target company, it should be circumspect in requesting information and mindful not to obtain PSI unless the target company is prepared to disclose such PSI in the public domain before the PE sponsor deals in the securities of the target company. 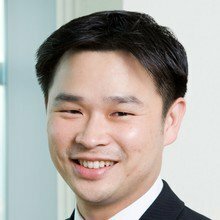 Acquisition financing for PE transactions in Singapore continues to be achieved primarily by way of debt financing, with equity investment by management and investors and other forms of financing taking on a less prominent role. On balance, debt financing provides greater certainty of funding (primarily through the use of ‘certain funds’ provisions in debt financing agreements) and also provides a means for acquisition even where an acquirer does not possess sufficient funds or does not wish to pay the entire price out of its own funds upfront. The certainty offered by debt financing is usually preferred in light of the requirement of confirmation of financial resources and (relatively limited) financing conditions in acquisition facility agreements (see below for further discussion of this requirement of confirmation of financial resources). The continued use of debt financing is also reflective of the continued liquidity and availability of funds from traditional lending sources. Therefore, despite the varied forms of financing available, debt financing nonetheless remains dominant in the acquisition financing space. The typical debt-financing technique used by PE firms to finance an acquisition is the leveraged buyout. The debt is usually expected to be senior and secured by the assets of the target company and the target company’s subsidiaries, and repayments of the debt are made by the target company through its own resources or future debt refinancing. Given the involvement of the target company in the financing structure, financial assistance restrictions in Singapore present additional issues for leveraged buyouts and other financing arrangements that are secured by assets of, or expected to be repaid from the cash flow of, the target company or its subsidiaries if the target company is, or remains, a public company or a subsidiary of a public company. These financial assistance restrictions and their continued application in certain situations are discussed further below. Several alternative types of financing structures that have been utilised in acquisition financing (involving a larger quantum) include the following. Apart from senior debt that has typically formed the greater share of the entire debt package, the introduction of a mezzanine tranche is not uncommon and, if advanced, is typically provided by a financial institution or direct lending arms of funds. The mezzanine tranche may be subordinated in terms of priority of repayment and security, and may also be structurally subordinated to the senior tranche. In return, mezzanine lenders and direct lenders expect a higher margin and incentives via equity kickers such as options to subscribe for shares in the acquirer or offeror at prescribed points. Payment-in-kind tranches of mezzanine debt may also be adopted where interest is capitalised during the life of the facility, resulting in higher and more attractive returns to mezzanine lenders. The use of mezzanine tranches or mezzanine financing terms may be seen in acquisition deals where senior debt is not readily available from traditional lending sources or where the quantum of senior debt is insufficient for the purposes of the acquisition, hence, necessitating further alternatives in financing structures. A development in recent years has been the increased use of debt financing at the PE fund-level, primarily to complement the use of debt at the level of the portfolio company. Motivations that PE funds have for turning to debt financing at PE fund-level include lower cost of debt (as lenders find greater comfort in multiple income streams and a diversified pool of collateral by virtue of the multiple portfolio companies), the ability to draw on the debt facility quickly (as this obviates the necessity to arrange for debt facilities at the portfolio company-level contemporaneously with the anticipated acquisition and circumvents the complex issues that may arise from the taking of security at the target level) and possible decreased transaction costs from arranging only one debt facility per PE fund (as opposed to multiple portfolio company-level debt facilities). A PE fund which wishes to take up fund-level financing can look to either net asset value (NAV) debt facilities or subscription debt facilities. While lenders of the former look downwards to the investments of the PE fund as the primary source of repayment, those of the latter look upwards to the unfunded capital commitments of the PE fund for assurance. A hybrid of both structures has also been explored, where the proportion of the borrowing base made up of unfunded capital commitments as against NAV changes over time; as capital commitments are called upon and the capital contributions are used to acquire investments, the NAV of those investments may potentially enhance the borrowing base. Bond issuances have not been as prevalent for the purposes of funding the actual acquisition and purchase consideration due to the fluctuating and changing nature of the bond market (which may be insufficient to satisfy certainty of funding requirements) and are commonly utilised as a post-acquisition or refinancing option. However, where the market is favourable, bond issuances, which are traditionally less restrictive than debt financing, have been seen as a viable alternative. In recent years, certain take-private deals involving a larger quantum of acquisition debt have been structured with a composite of financing sources, coupled with the flexibility to incur additional debt that may then be brought within the existing acquisition financing structure. A typical composite structure would involve a senior facility coupled with either one or more other facilities (mezzanine or otherwise), bond issuances and the ability to either increase borrowing limits or bring new facilities into the existing structure. In such structures, security sharing, subordination and intercreditor terms are pertinent issues that form the subject of fairly involved negotiations. As a practical measure, the target group’s existing financiers may also be invited to participate in the composite structure in order to, among others, manage the risk of those existing lenders triggering prepayment or default provisions as a result of the acquisition. Financiers typically look to the assets of the target group in seeking to maximise its collateral pool. The scope of the security package is fundamentally premised on the availability of the target group’s asset pool and the feasibility of taking security over such assets (bearing in mind the legal prohibitions and restrictions applicable to the relevant security providers and assets in question across each relevant jurisdiction, including financial assistance issues). If the financiers consider the security package insufficient, they may require additional safeguards such as the provision of corporate or individual guarantees or support arrangements from parties related to the acquirer. Although financial assistance prohibitions in Singapore have been relaxed, security or guarantees from the target group are generally expected to be in place only after funding and completion of the acquisition, as the acquirer would typically not have control over the target group prior to that stage and financial assistance restrictions may (to the extent that the target company remains a public company or a subsidiary of a public company) still apply. As such, depending on the security matrix, clean-up periods may still feature in financing documentation, to allow time for the provision of security and guarantees by the target group. However, such timing has generally been shortened where the target is taken private or was already a private company such that financial assistance restrictions do not apply. Where security or guarantees are expected to be provided shortly after the completion of the acquisition, the form of the security documents would also have been negotiated and, if possible, agreed prior to the completion of the acquisition. The feasibility of this approach would depend on the visibility of the acquirer on the assets of the target group and the restrictions (legal, contractual or otherwise) and encumbrances thereon. To the extent that such visibility is not forthcoming, the provision of security and guarantees by the target group needs to be assessed and clean up periods adjusted accordingly. In a transaction governed by the Take-over Code, the financial adviser to the acquirer is required to issue a confirmation of financial resources. Hence, in the context of debt financing (which is typically subject to an extensive list of conditions precedent), conditions precedent to the utilisation of any bridge loan used to finance an acquisition, and particularly a takeover offer, must be kept to a minimum to ensure certainty of funding (e.g., that funds are available, when required, to satisfy settlement of acceptances of the offer). Clauses or conditions that could constitute a draw-stop and allow the financier to walk away from its commitment may also not be feasible in such circumstances. Financial assistance restrictions continue to apply to and remain live and key issues in acquisition deals involving public companies and their subsidiaries, despite the relaxation of such restrictions on private companies (that are not subsidiaries of a public company) in 2015. The relaxation has eased debt pushdowns and the provision of security by targets and their subsidiaries that are successfully taken private after completion of the acquisition; private companies or companies that are taken private no longer need to undergo ‘whitewash’ procedures in order to provide such financial assistance. Considerations such as processing time and cost, which had traditionally presented challenges in structuring deals for PE investors, may be addressed to some extent. With the abolishment, financiers have endeavoured to obtain security and guarantees at the target level promptly upon the completion of the acquisition or within shorter clean-up periods. These, however, remain restricted to deals where the target company is a private company (which is not a subsidiary of a public company) and are subject to the acquirer’s visibility of the target group’s assets. the company’s board of directors resolve that the company should provide financial assistance and that the terms for doing so are fair and reasonable to the company. Singapore case law has yet to provide definitive guidance on when PE investors and their financiers may rely on this exception, especially in the context of leveraged buyouts where the issue of financial assistance is most pertinent, but Australian case law is instructive. the financial consequences of the transaction on the interests of the company or its creditors. The disjunctive reference in the statutory provision to ‘the company or its shareholders’ necessarily involves a consideration of the company’s position independent of that of the shareholders, but in scenarios where the interests of the company and its shareholders are not aligned, Australian case law suggests that little heed is paid to the interests of the shareholders when determining if material prejudice exists. 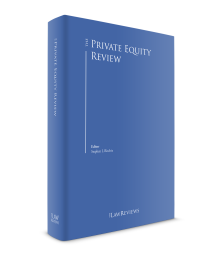 That said, shareholder interest is not completely ignored; dicta from a more recent Australian case suggests that a dilution of shareholder equity would constitute material prejudice to shareholders even if the company’s assets remain unchanged. As for creditors’ interests, it is suggested that a likelihood that the company’s ability to pay its creditors will be reduced, even if the company remains solvent, would be materially prejudicial. Given the state of flux in the law in this respect, it bears mentioning that some Australian banks have refused to lend on the basis of the ‘no material prejudice’ exception other than in very limited circumstances. While the ‘no material prejudice’ whitewash method has been used in Singapore since its introduction, it remains to be seen whether such regime will gain traction or whether target companies will still seek to utilise the conventional ‘whitewash’ methods for the purposes of the provision of security and the incurrence of debt in relation to its acquisition, pending greater clarity and guidance on the applicability of the new ‘whitewash’ method. This greater volume could also be a result of the impending maturity of existing debt financings consummated during the spate of acquisitions in the early part of this decade. Debt financing terms that have seen increasing scrutiny and amendments include extension of maturity dates, pricing, financial covenants and prepayment events. These are usually renegotiated should more time be needed before exiting the investment, to allow the PE investor to achieve a partial exit or return from the investment or, in the case where the target group has or intends to tap the bond market, to bring the debt financing terms in line with the bond terms (which are generally more favourable) as much as possible. As more countries develop their own merger control regime and with potential targets having globalised businesses, antitrust and merger control issues are usually one of the first few important issues that PE investors have to consider when assessing the viability of a take-private transaction. The merger control analysis is heavily dependent on access to the target’s data and a lengthy merger control review can present significant delays for the transaction timeline and challenges for certainty of transaction. Due to the potential lengthy process of merger control filings, takeovers of listed companies have to be structured as a SOA or a pre-conditional general offer (where a formal offer is made only upon fulfilment or waiver of certain pre-conditions). A long execution period will in turn translate into higher financing cost because financial resources confirmation has to be provided at the time of announcement of the SOA and pre-conditional general offer (though this is not strictly required under the Takeover Code). Another increasingly common issue is whether the transaction is subject to approval from Committee on Foreign Investment in the United States (CFIUS), an arm of the US government that reviews certain corporate transactions to determine if the transaction results in ‘control’ of a US business by a non-US entity and whether the transaction raises national security concerns. Though filing with CFIUS is a voluntary regime, CFIUS may unilaterally initiate a review of a transaction even after it has closed. If a contemplated transaction falls within CFIUS’s review jurisdiction, parties would have to weigh the costs and benefits of filing a voluntary notice with CFIUS versus not filing one. The former approach results in higher costs and delays but achieves the certainty that the transaction will be free from future CFIUS interference while the latter avoids the costs and delay but faces the risk that if CFIUS initiates a review in the future, the transaction may be blocked or that a consummated transaction be unwound. In making an exit, a PE sponsor that is seeking to exit in line with its investment time frame would likely prioritise certainty of closing. If the sale is conducted by way of an auction, a bidder that is able to commit to a ‘sign and close’ would be expected to be a front runner in the process. In such circumstances, the only closing conditions that are likely to be acceptable would be those related to regulatory approvals (e.g., merger control) that are truly essential, and even then, only when it is fairly certain that such approvals would be forthcoming. If a takeover offer is for a publicly listed company in Singapore, the offeror may decide to revise the offer price to encourage more acceptances especially if the independent financial adviser of the target company has opined that the offer price is not fair. Besides that, the offer price may also be adjusted for dividends declared or paid during the offer period. Post-completion audits and consequential purchase price adjustments are more common in the sale of private companies, especially where there is a reasonable time gap between the evaluation of the deal consideration (which may be earlier than the date of signing of the purchase agreement) and completion of the transaction. A PE sponsor that is seeking to exit its investment and return the proceeds to its investors would be concerned about the certainty and finality of closing; it may not be too keen on post-completion purchase price adjustments, and thus may prefer a ‘locked-box’ approach to the purchase price. However, it may not be able to insist on such a preference if the purchaser is also in a fairly equal bargaining position, and this should not be a deal-breaking issue, especially if there is a potential upside adjustment for the PE sponsor (for instance, where the performance of the company is seasonal and the period in respect of which post-completion audit takes place falls during the months when the target company traditionally performs better). Generally, the oversight of regulatory bodies such as the SIC and the SGX is relevant when the target company is listed on the SGX. The MAS is also relevant with regard to the regulation of fund management companies. One of the key amendments that came into effect on 31 March 2017 relates to the requirement for companies (other than SGX-listed companies and Singapore financial institutions) and limited liability partnerships incorporated or registered in Singapore to obtain and maintain information on their beneficial owners and controllers. This disclosure regime (which has already been adopted in the UK) seeks to ensure that Singapore’s business transparency regime meets the international standards set by the Financial Action Task Force and the Global Forum on Transparency and Exchange of Information for Tax Purposes. In an effort to promote Singapore as a debt restructuring hub, the Companies Act was amended with effect from 23 May 2017 to enhance the scope of the existing UK-style restructuring frameworks such as stay of proceedings and judicial management and adapt super priorities in favour of rescue financiers from the US Bankruptcy Code. By combining the best of restructuring practices in United Kingdom and United States, Singapore is well placed to attract distressed funds and vulture funds to conduct their debt restructuring in Singapore. the introduction of a statutory definition of ‘persons who commonly invest’ (as referred to in Sections 215(b)(i) and 216 of the SFA) that will be used as the reference point in insider trading cases to assess whether a particular piece of information is generally available and is likely to have a material price impact by influencing the behaviour of common investors. The new statutory definition will strengthen the MAS’s ability to pursue insider trading cases without having to meet an unrealistically high standard for ‘persons who commonly invest’, and the MAS will issue guidelines on the interpretation of the statutory definition. 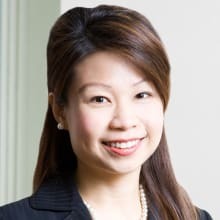 It is important that parties to an M&A transaction are well aware of Singapore’s insider-trading and market misconduct laws, given the potential civil and criminal liabilities that may follow for breach of such laws. From the perspective of access to financing for PEs, it may be noteworthy that the US has introduced guidance on leveraged transactions since March 2013 and the European Central Bank has also released similar guidance in May 2017.28 Given that the guidance at present is restricted to the US and European banks, there is no visibility as to whether this will translate to similar guidance in Singapore to reflect international practices, and if so, whether this would have an impact on the ease of access to the traditional financing source of bank lending in Singapore. To the extent that financial institutions are already within the parameters proposed by any guidance, impact, if any, on access to financing may be minimal. The Stamp Duties Amendment Act 2017 came into effect on 11 March 2017 and introduces a new stamp duty treatment for the acquisition and disposal of equity interest in property holding entities (or PHEs) (which are defined as entities whose primary tangible assets are residential properties in Singapore) to address the stamp duty rate differential that previously existed between the direct acquisition or disposal of residential properties, and the acquisition or disposal of equity interest in entities whose primary tangible assets are residential properties in Singapore.29 The consequence of this new stamp duty is that real estate funds can no longer enjoy a lower rate of stamp duty by structuring their transactions as an indirect acquisition of residential properties via the acquisition of the shares in the PHEs as opposed to a direct acquisition of the underlying residential properties. Additionally, the Stamp Duties Amendment Act 2017 also makes amendments to Section 22(1) of the Stamp Duties Act, which brings forward the point on which stamp duty is chargeable in respect of a transfer of shares to the time of execution of a sale and purchase agreement in relation to such transfer of shares, instead of the time at which the relevant share transfer forms are executed. This has implications on how we structure the sale and purchase of unquoted shares or quoted shares held in certificated form of a Singapore company, particularly if the completion of the sale and purchase is subject to the fulfilment of certain conditions precedent. In a bid to develop Singapore as a centre for both fund management activities and investment fund domiciliation, MAS has launched a public consultation on 23 March 2017 in respect of the introduction of Singapore Variable Capital Companies (S-VACC), which, among other things, allows for sub-funds with segregated assets and liabilities to be created by registration within the same corporate entity.30 This would allow sub-funds under the same S-VACC to pursue differing investment objectives while ensuring that investors in each sub-fund are shielded from liabilities in respect of other sub-funds. As the bill in respect of the S-VACC has not been released yet pending further study by MAS on the tax regime for S-VACCs, it remains to be seen what features fund managers can look to benefit from such new structure. Despite macroeconomic uncertainties relating to the outcome of Brexit negotiations and the aftermath following the 2016 US presidential elections, the economy in 2017 performed quite decently. While the uncertainty over Brexit continues to loom, the cliff-edge predicted by some economists has not materialised and the recent French and German elections have resulted in pro-market governments.33 With the yuan stabilising and China’s foreign exchange reserve rising, coupled with the Chinese government’s promotion of its ‘one belt, one road’ policy, China’s outbound M&A activities look to recover in months ahead.34 The optimism for greater global economy growth this year might be tempered by concerns over how US President Donald Trump would continue to advance his protectionist trade policy. With the generally positive outlook and greater investor confidence and optimism, M&A activity in Asia-Pacific in general is expected to increase in 2018.37 Singapore, with its strategic location, established financial infrastructure, robust legal system and political stability, and ranked only second to Hong Kong in terms of attractiveness for M&A and IPO activity,38 remains well poised to capitalise on any growth in this region. 1 Andrew Ang, Christy Lim and Quak Fi Ling are partners at WongPartnership LLP. 2 ‘Dealmaking in region at a high this year’ (18 December 2017): http://www.straitstimes.com/business/companies-markets/dealmaking-in-region-at-a-high-this-year. 3 Duff & Phelp’s Transaction Trail, Annual Issue 2017. 5 ‘Nets A/S sold to private equity for $5.3 billion’ (25 September 2017): https://www.marketwatch.com/story/nets-as-sold-to-private-equity-for-53-billion-2017-09-25. 6 ‘Mitsui Sumitomo Is Going to Buy Singapore’s First Capital Insurance for $1.6 Billion’ (24 August 2017): http://fortune.com/2017/08/23/mitsui-sumitomo-first-capital-insurance/. 7 Duff & Phelp’s Transaction Trail, Annual Issue 2017. 8 ‘GLP acquires European logistics platform Gazeley for 2.4b euros’ (2 October 2017): http://www.straitstimes.com/business/companies-markets/glp-acquires-european-logistics-platform-gazeley-for-24b-euros. 9 ‘Mapletree eyeing slice of the lucrative student housing market’ (3 June 2017): http://www.businesstimes.com.sg/companies-markets/singapore-sovereign-wealth-funds-eyeing-slice-of-the-lucrative-student-housing. 10 Duff & Phelp’s Transaction Trail, Annual Issue 2017. 11 ‘GLP’s shareholders give green light for privatisation’ (1 December 2017): http://www.straitstimes.com/business/companies-markets/glps-shareholders-give-green-light-for-privatisation. 12 ‘GIP to Buy Equis Energy in Record $5 Billion Renewable Deal’ (25 October 2017): https://www.bloomberg.com/news/articles/2017-10-25/global-infrastructure-acquires-equis-energy-in-5-billion-deal. 14 ‘GLP’s shareholders give green light for privatisation’ (1 December 2017): http://www.straitstimes.com/business/companies-markets/glps-shareholders-give-green-light-for-privatisation. 15 ‘Disappointed With UBS Loss, Singapore’s GIC Fund Cuts Stake’ (16 May 2017): https://www.bloomberg.com/news/articles/2017-05-15/singapore-s-gic-to-offer-2-4-stake-in-ubs-worth-1-6-billion. 16 ‘The deal that turns UEM Edgenta into regional player’ (4 March 2017): https://www.thestar.com.my/business/business-news/2017/03/04/the-deal-that-turns-uem-edgenta-into-regional-player/. 17 ‘Dealmaking in region at a high this year’ (18 December 2017): http://www.straitstimes.com/business/companies-markets/dealmaking-in-region-at-a-high-this-year. 18 ‘GLP’s shareholders give green light for privatisation’ (1 December 2017): http://www.straitstimes.com/business/companies-markets/glps-shareholders-give-green-light-for-privatisation. 20 ‘Perennial Leads Consortium with Yanlord to Acquire 33.5% Stake in United Engineers and up to 29.9% Stake in WBL Corporation for a Total Consideration of S$729.7 million’ (13 July 2017): https://uel.sg/announcements/downloads/Press%20Release_13Jul17.pdf. 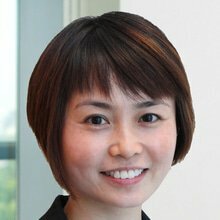 21 ‘Manulife to buy PwC building from DBS’ (11 February 2017): http://www.straitstimes.com/business/manulife-to-buy-pwc-building-from-dbs. 22 ‘Horst Schulze sells Capella Hotels to Singapore family Kwee’ (24 October 2017): http://www.cpp-luxury.com/schulze-sells-capella-hotels-to- singapore-family-kwee/. 23 ‘Mapletree Investments sells 2017’s first SGD bond’ (13 January 2017): http://www.businesstimes.com.sg/banking-finance/mapletree-investments-sells-2017s-first-sgd-bond. 25 ‘Second Reading Speech by Senior Minister of State, Ministry of Finance & Ministry of Law, Indranee Rajah SC, on the Companies (Amendment) Bill’ (10 March 2017): https://www.mlaw.gov.sg/content/minlaw/en/news/parliamentary-speeches-and-responses/second-reading-speech-by-senior-minister-of-state--ministry-of-f.html. 26 The Income Tax Act (Chapter 134 of Singapore) was amended on 26 October 2017 to provide for tax treatment for foreign companies re-domiciled in Singapore which have not carried on any trade or business in Singapore at any time before the date of registration of domiciliation. 27 ‘‘Securities and Futures (Amendment) Bill 2016’ – Second Reading Speech by Mr Ong Ye Kung, Minister for Education (Higher Education and Skills) and Second Minister for Defence, on behalf of Mr Tharman Shanmugaratnam, Deputy Prime Minister and Minister-in-charge of the Monetary Authority of Singapore on 9 January 2017’ (11 January 2017): http://www.mas.gov.sg/News-and-Publications/Speeches-and-Monetary-Policy-Statements/Speeches/2017/Securities-and-Futures-Amendment-Bill-2016.aspx. 28 ‘Guidance on Leveraged Transactions (16 May 2017): https://www.bankingsupervision.europa.eu/ecb/pub/pdf/ssm.leveraged_transactions_guidance_201705.en.pdf. 29 ‘Second Reading Speech By Second Minister For Finance Lawrence Wong On The Stamp Duties (Amendment) Bill 2017’ (10 March 2017): https://www.mof.gov.sg/newsroom/speeches/Second-Reading-Speech-By-Second-Minister-For-Finance-Lawrence-Wong-On-The-Stamp-Duties-(Amendment)-Bill-2017. 30 ‘Consultation Paper on the Proposed Framework for Singapore Variable Capital Companies’: http://www.mas.gov.sg/~/media/MAS/News%20and%20Publications/Consultation%20Papers/Consultation%20Paper%20on%20the%20Proposed%20Framework%20for%20SVACC%202.pdf. 37 2018 Global Transactions Forecast issued by Baker Mckenzie and Oxford Economics. 38 2018 Global Transactions Forecast issued by Baker Mckenzie and Oxford Economics.